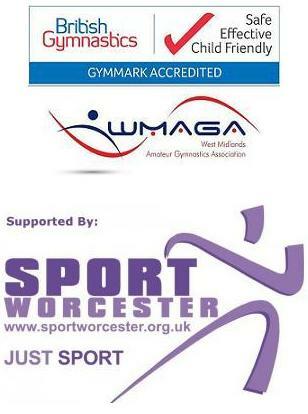 Read more about RGC Worcester. RGC Worcester currently offer the following training programmes: the Toddlers & Preschool Programme, Recreational Programme, Development Programme, and Competitive Programme. If you are interesting in joining a training programme, please get in touch. Rhythmic Gymnastics is a great Olympic sport described as combination of ballet, dance and gymnastics performed by indivduals or teams to music. The gymnasts complete a number of floor routines encorporating manipulation of hand apparatus such as the rope, ball, clubs, hoop and everyone’s favourite; the ribbon. Rhythmic Gymnastics is mostly perfomed by women but, is becoming more popular with boys, and we welcome any budding gymnasts to join us.